The best MLS team of all-time. After Sunday, that honour belongs to Toronto FC. 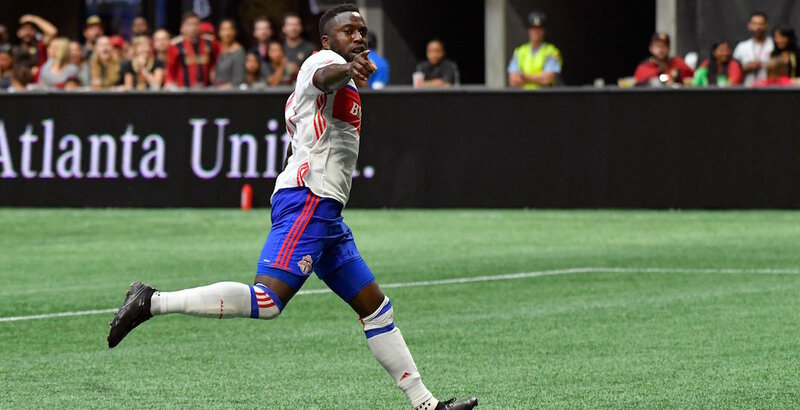 TFC earned a 2-2 draw in hostile territory – on the road in front of 72,000 people in Atlanta. The point earned in the regular season finaled pushed TFC to 69 points, which set a new MLS record. With a 20-5-9 record, there’s nobody better. Toronto finished a whopping 12 points better than the next best team in the league, New York City FC. They’re heavy favourites to win the MLS Cup, after narrowly missing out last season. Great, but now the pressure’s on. TFC is in the record books, but it won’t matter if they don’t hoist the franchise’s first-ever league championship. It’s not dissimilar to the New England Patriots, who had a perfect 16-0 regular season in 2007. The record was nice, but losing to the New York Giants in the Super Bowl is what everyone remembers. There’s no reason to believe Toronto FC can’t win it all, except for the fact that winning a championship is really really hard – even for a team this good. So get behind your team, Toronto. This is a special group. They won the most games, they scored the most goals. With Sebastian Giovinco, Jozy Altidore, and Michael Bradley, they’ve got star power. And they’re good defensively, too. But none of it will matter if they don’t hoist the MLS Cup in December.